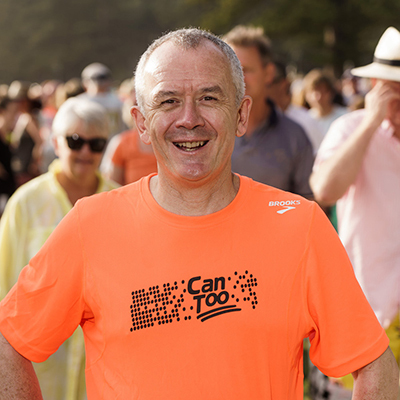 Anne joined the Can Too Board to support the Foundation’s vision of impacting cancer prevention and research, by transforming lives through matching health and fitness goals with fundraising for life-saving Australian cancer researchers. 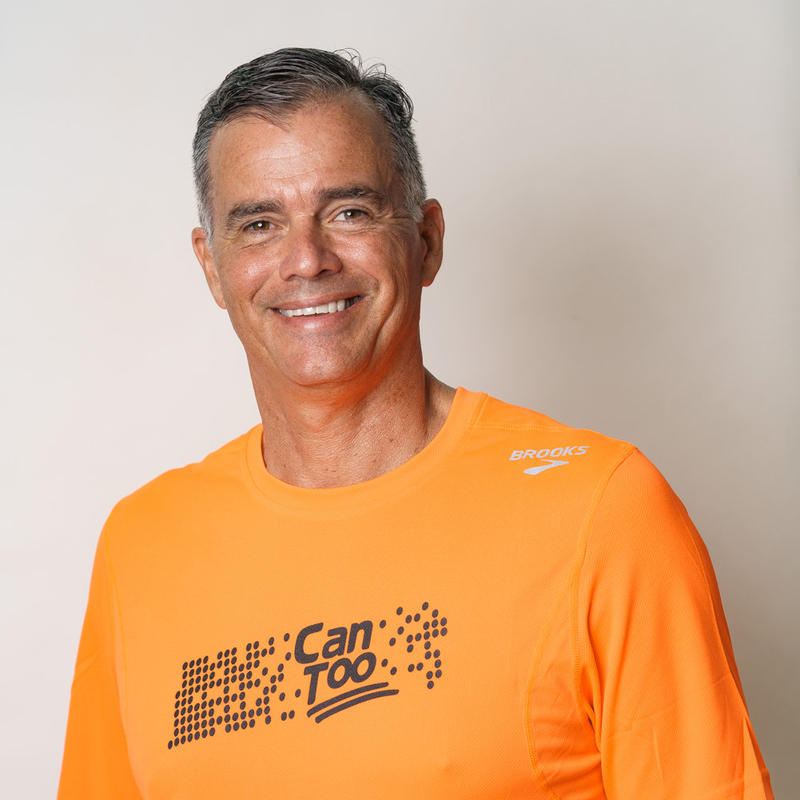 Having been a participant in Can Too’s running, swimming and triathlon programs she can personally attest to the transformative power of Can Too. She has been committed to finding a cure for cancer since her best friend died from breast cancer in 2001. Anne has over 20 years extensive global experience in the hospitality, platform technology, and social sustainability sectors as a CEO, entrepreneur, executive coach, chair and non-executive Director and Advisory Board member. She had several roles as a senior Global Executive with Starwood Hotels & Resorts Worldwide in the USA, followed by becoming Managing Director (CEO) across Asia Pacific with US-based Communispace Corporation. Since returning to Australia in 2009, she has built a portfolio career as a Chairman, Non-Executive Director and Advisory Board member, gained experience in start-ups, and became an expert in social sustainability and impact. People, places and purpose have shaped and influenced her career and life. A lawyer specialising in employment law with over 20 years’ experience. Sheila moved from the UK to Australia in 2007, where she belatedly learnt to swim and embraced lycra to join the road biking masses. Sheila has worked for the Macquarie Group since 2010, in various roles including as Equal Opportunity Director. She currently leads both the Employee Relations function for ANZ and a team focussed on exploring innovative solutions in Human Resources. Her role combines her passions for problem solving and all things ‘people related’. She is skilled in building meaningful relationships but, always a lawyer at heart, she also uses her advocacy skills to great effect in all manner of situations (just ask her husband!). Her long-standing interest in cancer research stems from her dad’s recovery from cancer of the oesophagus, after ground breaking laser treatment which involved him spending six months in the dark from light sensitive drug treatment. (He passed away four years later from an unrelated disease, but those extra years were some of the best of his life). Sheila’s father-in-law died in 2013, after a 10-year battle with bowel cancer. Currently a Non-executive Director of Vaxxilon Ltd, a revolutionary Swiss based vaccine company, and formerly a Director of several ASX listed Australian biotech companies. Simon has 30 years’ experience in the global pharmaceutical industry across a range of functions and therapeutic areas. He is currently a Senior Global Advisor / Consultant to Idorsia Ltd and was President, Global Corporate and Business Development and also served as President, North America and Asia-Pacific at Actelion. Simon holds a Bachelor of Veterinary Science, a PhD, a Graduate Management Qualification and is a Graduate of the Australian Institute of Company Directors. Simon served as a National Advisor to Afrika Tikkun Australia, a South African NFP dedicated to alleviating the impact of HIV/AIDS and poverty and is an Ambassador for Opportunity International Australia, which transforms the lives of families living in poverty in Asia. The keen ocean swimmer served on the Can Too Advisory Committee from its beginning and as a Director since the inception of the Foundation. He has been a participant, Mentor, Team Captain, Swim Coach and sponsor. He is committed to the cause of funding basic research in cancer in order to prolong and improve the lives of cancer patients. John, or JD to this friends, is a communications expert with 20 years’ experience working with big brands, with much of this time directly involved with sports and entertainment properties. As a father of four, JD is passionate about fostering creative learning for kids and tech start-ups. He is active in the education space and sits on the board of the Northern Beaches Montessori Association, and is also an active investor taking early-stage investment positions with tech start-ups. 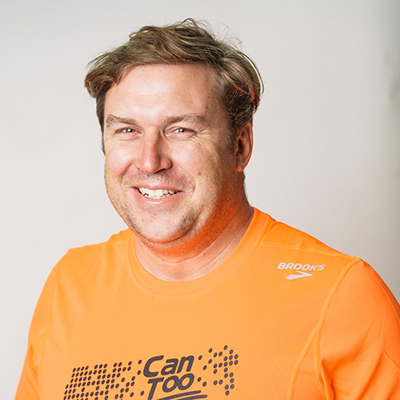 He watched his Dad battle and beat bowel cancer and is looking forward to completing more triathlons with Can Too. Sarv Girn is the Chief Information Officer of the Reserve Bank of Australia, a position he has held since September 2012. In this role, he provides strategic leadership in transforming and developing the core IT functions that support the Reserve Bank’s policy, operational and corporate objectives. Sarv has also previously held strategic roles at both Westpac and the Commonwealth Bank. 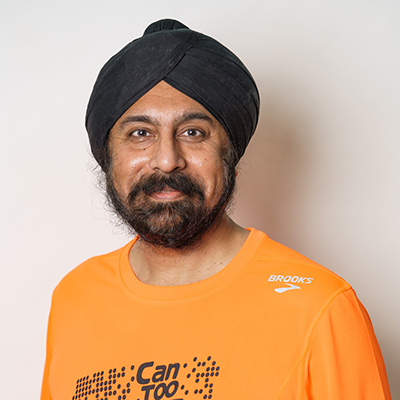 He holds a Bachelor of Computer Science (Hons) degree from the University of London and his career in the financial services industry in Australia, the UK and Asia spans 30 years. Sarv is a Fellow of the Australian Institute of Company Directors, and a Non-Executive Director of the Reserve Bank Health Society. Sarv has a passion for helping people to transform their careers by pushing them to achieve more than they thought they could through self-development, mentoring, coaching and sponsorship. He aims to use this expertise to increase the impact Can Too has in the lives of Australians through a focus on health and wellbeing in the community and broader corporate world. David is a non-executive director and consultant, specialising in political risk management, public affairs, and regulatory strategy. He was once diagnosed with serious prostate cancer, but received successful medical treatment, motivating his support for cancer research and prevention programs. He is Chair of Communications Compliance Limited, an independent compliance monitoring body for the telecommunications industry, and an Adjunct Professor at the Deakin Business School of Deakin University. David's career spans consultancy, working as a senior corporate executive in Australia and internationally, and as a senior adviser to three Australian Prime Ministers, culminating as Chief of Staff to the Prime Minister. Educated at The ANU and Wharton, he is also a non-executive director of Opera Australia, The Asia Society-Australia, and the European Australian Business Council. He sits on advisory boards for IoTStream Limited, the Advisory Board Centre and the Head On Photo Festival Foundation. Edith joined the Can Too community in 2009 and has participated in over 20 programs – marathons, half marathons, triathlon, treks and ocean swims. Currently Operations Manager, ProCan at the Children’s Medical Research Institute (CMRI), Westmead, Edith has expertise in project, change and general management. She has worked as a management consultant across a range of sectors including financial services, international logistics, not-for-profit and professional services. She was previously Research Program Manager and Chief Operating Officer at Cure Cancer Australia, and senior facilitator for beyondblue, the national depression initiative. She is a Graduate of the Australian Institute of Company Directors (GAICD), has a Master of Human Services Management & Policy (CSU), and Executive Coaching and Project Management qualifications. 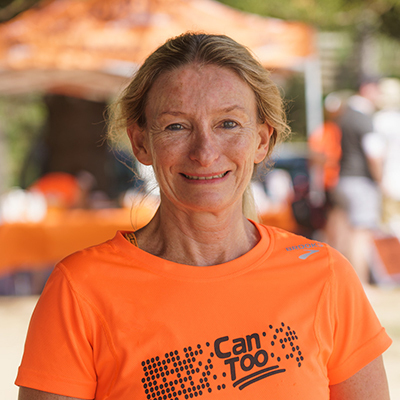 A founding member of the Can Too Board, Edith has experienced firsthand the physical and mental health benefits of regular exercise with Can Too. Training with the diverse range of Can Too participants, she is motivated by seeing lives transformed through exercise and community engagement. Her work in the cancer research field strengthens her commitment to Can Too and its funding of innovative researchers to improve cancer outcomes. 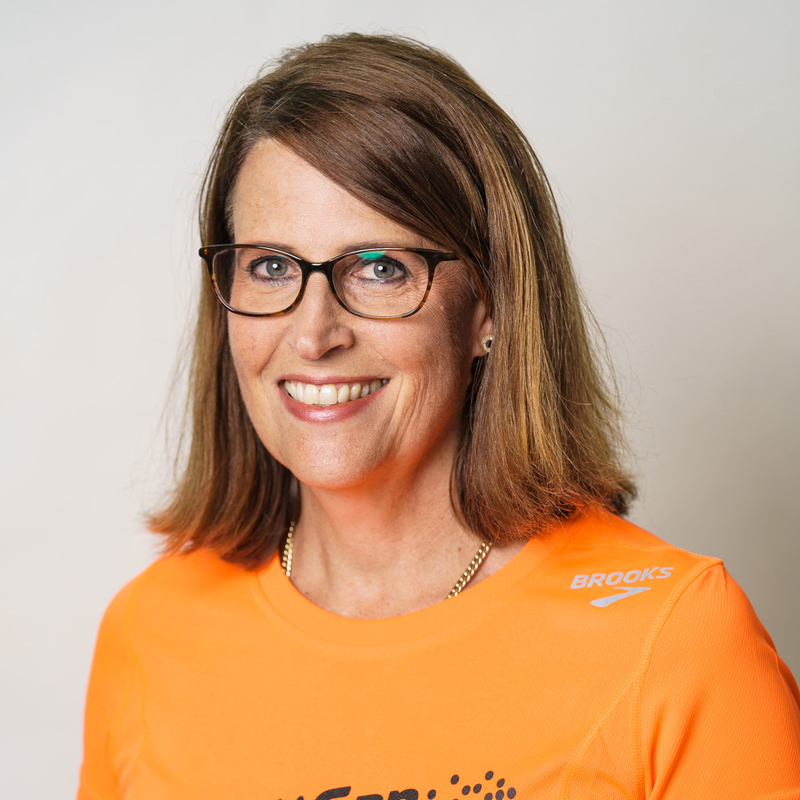 Andrea noticed the happy, supportive ‘orange’ people at many events so decided to join the Can Too Swim Program in 2009 as an alternative to long distance running. Following her own brush with cancer in 2013 (stage 2 melanoma), she became a Can Too Swim Mentor and Team Captain. The qualified accountant is also a graduate of the Institute of Company Directors. Her experience includes accountancy roles at Deloitte followed by commercial finance roles in South Africa and London. In Sydney, Andrea was Group Accountant for Dymocks Book Stores, Finance Director for Gambro, a multinational medical devices company and CFO at NSW Business Chamber/Australian Business Solutions Group. She also served on the Board of Take 3, a NFP aiming to reduce plastic pollution on our beaches and waterways. Andrea is currently CFO of Southern Cross Care, a NFP Aged Care Provider. Andrea is a specialist in business transformation to leverage commercial opportunities, whilst ensuring best practice corporate governance. 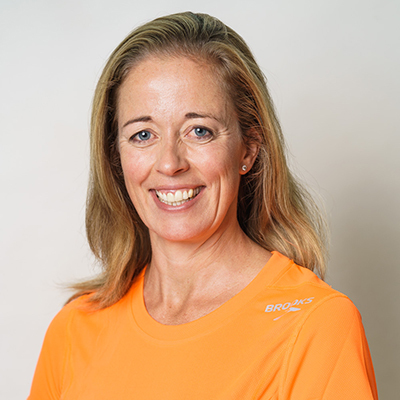 Due to her love of sport including long distance running and swimming (thanks to Can Too), soccer, skiing and hiking, Andrea also qualified as a fitness professional, with a special interest in training older people and managing injuries.